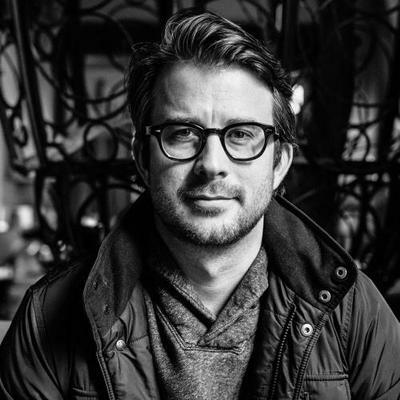 Today, our guest is Aaron Dignan, he is the founder at The Ready and author of the recently released book, Brave New Work, and this episode is ‘Work Minus Bureaucracy’. Hi Aaron, how are you today? Well, I am extremely excited to talk to you because your new book is very exciting, it is called ‘Brave New Work’, which is a fitting title for it. Why don’t you start off just telling us little bit about who you are and what lead you to write the book? Well I have worked in some parts of change my whole career and I am a serial entrepreneur, so I’ve had the pleasure of starting and trying to figure out lots of different organizations and cultures. Over the course of that journey, I’ve just become more and more interested in what does it look like to build something that doesn’t become bureaucratic and immobilized and full of red tape and you know, dehumanizing. How do you build something that is adaptive and human? So that’s become my personal purpose and I wrote the book to try to jump start that a little bit in culture. A lot of these ideas have been around for a long time, they haven’t really moved from the fringe into the mainstream and I wanted to help promote that movement. So how do you define bureaucracy? In a classical sense, bureaucracy is just having an organization or a community that is governed by the rule of law and that has positions that have power. But I think what it has become, what it has metastasized into is the over-indexing on hierarchy, red tape, rules, policies, things that bind us and make us feel less than human or less than adaptive and agile. So, to me, bureaucracy is all the policies and processes and structures that don’t serve us. So I come from a software background and you used an interesting term, in your book, you talk about legacy organizations. We usually talk about legacy systems, old systems that are just hard to build on top of a software. Tell us more about what you mean by legacy organization? I think that’s the right connection, I mean anything that is no longer allowing us to evolve, the way we want to evolve. Whether that’s code or whether that’s the organization’s operating system as I call it. If it is rooted in something past and it can’t adapt to what’s changed in the world around it, then that’s problematic. I call it organizational debt. So it is kind of similar to the technical debt concept that you are familiar with. It is all the things that we either decided to put in place that are no longer working for us or things that we maybe punted on making a decision about and now they are coming back to bite us. So I want to take some time looking at both examples here because in your book you have a lot of really exciting examples of companies who are doing things very different, we would call it forward thinking but maybe they have been doing it for 20 years. And then also to reflect on somethings that are really dragging us down. That’s kind of the theme of our show ‘Work Minus’ we are talking about. So why don’t you start with the bright side, what are some of the your fun stories, the ones you would really like to tell about organizations that are really operating on different level. Well, there are so many, when I started the book, I really started looking at it and I knew a dozen or more and I ended up finding I think, close to 70 firms around the world that have basically done the work minus bureaucracy thing and focused on autonomy and transparency and creating an environment where people feel like they have agency to change how they work and choose how they work. So everything from an organization in France called Fabi that is an auto-parts brass foundry and they have created these little, mini-factories where teams gather around, 10, 20, 30 people and work towards one customer’s outcomes with total autonomy to Morning Star in California which is the world’s largest tomato processor where people write their own job descriptions and set their own salaries, to Bertslorg in the Netherlands where nurses work without their traditional oversight of the healthcare system with all the rules, boundaries and limitations and just actually serve their customers calling and all their outcomes are as good or better than their more traditional health care systems. To a nuclear submarine that was the lowest performing one in the Navy until the commander started asking people what they intended to do instead of giving them orders and turned it into one of the top performers. So the stories were super-wide and varied from almost every country from almost every culture and almost every industry. What was hard actually was to find more than one in any industry, that was really going as far with these, so that’s what I am hoping the book might promote. But there’s always one, there’s always someone out there doing it differently and they basically have built these firms all around the idea of people can be trusted, they can be given responsibility, given autonomy, given agency. They can create a new way of working together if we trust them to do it and create the right conditions. I think the theme of autonomy is really coming out really strong that the people if you give them the power, if you give them the choice to make these, they will end up making a good choice at the end. In the book you used a metaphor of the difference between a stoplight and the roundabout system. Can you unpack that a little more? Yeah, so I love this metaphor because it helps you really see the power of an operating system of the assumptions and principles and practices that we put into place. So the roundabout and the lighted intersection are two different solutions to a problem, the problem is two roads crossing and what we want to do is to design for optimum throughput, while making sure people don’t hit each other. So the assumption of the stoplight, the red, yellow, green, is people can’t really be trusted, they need to be told what to do, we are going to have to have really clear signals, we are going to have to think of everything. So left turns, right turns, what if this happens, what if that happens. We are going to have to have a control center with software and people making algorithms and plans for how this is all going to work and then in the end, it will do what it needs to do. And most people are pretty comfortable with that. They feel good in the lighted intersection. The roundabout on the other hand takes a different tack. It says actually people can be trusted, they need to use their judgment, they need to be present in the situation and participate and they need to be on and we will just use a couple of simple rules and very simple and enabling constraints to guide behavior. So go with the flow of traffic and give the right to the people in the roundabout. What’s fascinating is on almost every measure, in almost every context, not every possible one but in almost every context, on every measure things like throughput, safety, fatality collision safety, cost to build and maintain and certainly how it works when the power goes out, the roundabout is far superior and yet we are so much more comfortable and the other one is so much more prevalent. There’s a thousand to one, lighted intersections to roundabouts in United States for example and I think that’s a perfect metaphor for the world of work right now, there’s a normal way that everyone knows that mostly puts us off the hook and makes us forced to be compliant and live under the control of a system and then there are roundabout ways to do budgeting, to do research allocation, to do hiring and to do compensation and to do planning and those roundabout ways seem a little bit scarier, they seem little bit more chaotic at first. But at second glance, as I took in the book, they work great. We just have to step into that space and you know, be brave. So what do you say to a manager who is in one of these traditional systems, looks forward and says, okay, maybe this could be better but they think, okay, the second I go on a vacation, if I am gone for two days, everything just falls apart. If I try to put together a process, if I try to put together a spreadsheet, immediately if I am not on it, all the time, it starts to degrade. How do you convince someone that has that experience that these autonomous ways of working are better? Well that’s what so counterintuitive about it, right? So if you are always micromanaging, if you are doing that labor, both emotional and cognitive, then there might be a helplessness in the system, there might be a reaction in the system. And so sure, if you go away and you’ve usually been the one who moves things forward, then things might not move forward. I think the twist is what happens when you create space, you actually intentionally create space and let things get a little bit heated and let things bubble up and let the tensions emerge, then do people start to step in? It’s like anything, if you are gardening or raising children. If you try to raise a child that never skins their knee, they will not run well. That is just not going to happen. I think in many cases, we actually immobilize our teams by being such good leaders and such good managers and such detailed oriented thinkers and trying to create perfect execution instead of saying what if our job was to create increasing capability? If our job is to create increasing capability, we might take a different track and I think that’s one of the things we have to get comfortable with before we can really play differently. Yeah, that’s amazing. As we have said before let’s look at the other side of the picture, the one that probably most of us are more familiar with, in terms of these old legacy operating systems. Do you feel like the opposite is true–that it is all about the removal of autonomy and the giving of systems of how you do it, exactly how you do it, that characterizes most of these or do you find other patterns as well? I think it just boils down to our characterization of organizations in the market. So because we like to think of organizations in the market as predictable and controllable, and the feeling of being in control is so nice, things like plans and annual budgets and annual performance reviews and hierarchies and fixed roles and all these things start to take on the patina of that ideology. So the reason it goes bad is not because we have bad intentions or because we want to control people and we want to go to a dark place with power (maybe a few do, but most don’t), it is actually because we are trying to do our best, but we are treating the system like something that it is not what it actually is. We are mistaking what the system is and we are mistaking what the market is. That’s something that we need to plan around and predicting control and create compliance, in order to get what we want. When in fact we need the exact opposite. We need everyone out there being a sensor, we need everyone out there adapting in ways big and small, we need as much test and learn and iteration as possible to make sense of the world, because it is dynamic, because it is changing, so rapidly, the correct approach is actually different. So I think that’s really at the heart of it. I want to get your opinion on as we move farther in to the future, we adapt to more technology into what we are doing, this idea of the human computer symbiosis becomes more important–how humans and systems will work together. From a manager’s perspective, from a CEO’s perspective, you used the word ‘building capability’. Thinking about the facts like if you have humans working for you, you need to start very seriously think about how to leverage those human talents they have which is about the capabilities they have to make their own decisions. And if it is a system, you need to figure out how to code that and program that. What is your take about how organizations can do that as they move towards the future? So the first is that once again the work itself is going to fall under different categories in contexts. So if there’s work that we are doing, that you are doing, that a team is doing, that is complicated and it can be broken down into a checklist or a set of steps or can be systematized in such a way that an AI or artificial intelligence is going to be able to handle it in the reasonable, near term future, then that’s not really the work that humans are best suited to do. So I do think that people will need to move in the direction of the more complex, creative, nuanced work that requires judgment and creativity. Not because no part of that will ever be done by a machine but because that’s really where we have the most to offer right now, and where that symbiosis can be most interesting. So I think that is one piece of the puzzle. The another piece of the puzzle is just to recognize that we bring with us all of our humanity, both positive and negative, to whatever tools we use. So it can be that we go from email which is an inferior communications medium, to something that’s slightly better but we bring all the bad habits with us, right? We bring all the dopamine loops and the need to check every 5 seconds and the addiction to always being on top of it and the lack of clear agreement about when we will get back to each other and all these different tendencies we’ll bring to the new technology and so now we have the same thing but on steroids which is in many ways I think is what the internet and technology has shown us. It’s been a mirror of ourselves lately that’s said, here is you at 11. So I do think we have to check that and I’ve actually included an Aldous Huxley quote in the book about how technological progress is merely a means for men to destroy themselves faster, right? So if we don’t master those things and we don’t rethink our OS and our assumptions and really create new agreements about how we use technology and what we want it to do for us, then it is pretty easy to get away from us and to get out of hand and I think we have seen that in the political and economic spheres in the last couple of years. You mentioned email which is one of my favorite topics to talk about in terms of the way it grew and the way it continues to fail us as you have talked about. Let’s take this as a case study. What can we learn from how email grew to encompass almost all of work and to now to the place where we feel like it is not really doing what it’s supposed to do or it is doing what it is not supposed to do, it’s been over-extended in that way. What are the ways we can learn lessons from how organizations have adapted email and build new communication systems and then apply that in other areas too? I think the big lesson email obviously is that when you offer someone near instantaneous convenience of someone else’s attention, they are going to take advantage of that and obviously it is network effects games–so the more people send email, the more people get email and then the more people send email and we have seen that actually. The number of emails sent keeps going up faster than the population. So there’s definitely a pattern that’s not necessarily positive. I think it has like I said, some failings as well. So, when should something be an email or when should something be a phone call? That’s a decision we should make as an organization. When should I stop by and when should I send a note? What makes a good email, right? Long, short, focused, unfocused, etc. what is the good use of the medium? It is hilarious to me by the way that people still graduate with big business degrees and economics degrees, and MBAs without really substantive training of how to use something like email which makes up 90% of their working life from then on. So we are under skilled and falling victim to the norms of the system and I believe that all software has an opinion, so whatever the software is built to do and whatever features it offers, sends us down a path. So, if PowerPoint comes loaded with bullet points, we start communicating in bullet points. It is not something we consciously think about which happens. One of the downsides of email is that it does almost nothing to help you understand or prioritize what’s going on. So an email that says you’ve won a million dollars comes in the same inbox in the same order, as an email that says, you can now get 10 cents off of the new sock brand that you purchased two months ago. So there’s no way to sense true priority and there’s no way to sense true context. So you don’t really have a sense of where an email fits in your workflow and in your project flow, etc. On top of that, it is a pretty terrible information storage medium because no one else can search your inbox but you, so if you have a huge project where we learn a ton, and there’s all these emails that floating around and then a new member joins the team, they are able to access none of that information, none of those files, none of that dialogue, none of that context. So it is sort of a bad information sinkhole and it makes you predict before you even send the email, who needs to get it–which is a prediction that might not be correct–when they need to read it, and all that creates this cascading problem. So I think it is certainly more convenient than sending a letter, but in a way the tradeoff is that is less deliberate. It requires less thought ahead of time and without the right hygiene in place, it just becomes a nightmare which it is you know, for the vast majority of people. I think it is time to move on from that to something little more sophisticated, at least internally where we have the power to do so. Yeah, absolutely. You mentioned that as you are finding these outliers of companies that are really doing some amazing work and how they organize themselves, you said that it is really only one per industry or so that are out there. Why do you think these organizations stay as an island unto themselves, it is not something that somebody sees and wants in their organization? Why is it so contained? It is a great question and it is one I sit with a lot. I think on the one hand we are just in early days here, so, they just haven’t bumped into each other. In fact in a lot of the cases–the ones I looked into the book–aren’t even aware of some of the other cases that do things similarly to them. So it is emerging. And I think that is a piece of it. I also think that in some cases, if you are the first to move in this direction in a category it can be quite a competitive advantage, you end up attracting talent that are attracted to those ideals, you end up attracting leaders that are attracted to those ideals. So that’s an interesting constraining factor. It does require power holders to have a epiphany about a new kind of control and a new kind of shared power that can meet their needs and then some. But it is definitely a major ego-shift and I think that might just be rare. So I think that’s part of it and I think these stories don’t often spread as fast. I mean it is much more interesting to read about the hot new startup on the cover of the magazine and how much money they have raised and how rich they are going to be, than it is to read about how one team mastered their meeting structure for 6 months and made it better. It is meaningful to them but it is not necessarily a red-hot off-the-press kind of story. So I think some of this is undertold. You mentioned in the book that at an early part of your career you couldn’t help but look at all these big organizations and just feel that big is bad. Eventually a company grows to a point where they just cannot handle these types of things and there’s going to be inefficiencies, there’s going to be these things that make for bad bureaucracy. How has your perspective changed, do you still feel that? Or how has it nuanced? So I think in general, left on your devices, that’s still true. I mean if you just let something grow and scale in the midst of this economic and social operating system, you will inherit bureaucracy over time. But I do think it is possible now to avoid that. I’ve seen cases of 10,000, 50,000, 100,000 people where they have really done a pretty profound job of avoiding that or digging their way out. One of the ways they do it is by not acting like one big monolithic thing. So, similar to the way you think in application work, to have something more modular, the organizations are the exact same way. When they decentralize, when they create tribes, pods, cells whatever you want to call it, of 10 to 100 people, who are operating fairly independently, creating something of value to another pod of people–whether that be customers on the outside or customers on the inside–there’s a marketplace model in place. That seems to work pretty darn well. And the reality is that the organization as a whole starts to look more like a market and it has all the benefits that we see, in the market. The things we start to fall in love with as ‘capitalists’ without looking all the things about advanced capitalism that have gone awry, it’s just a basic idea of a market with lots of different players, to have the freedom to play with each other in different ways and that the things they really work with spread. I think that is what you need and that means thinking small and acting small. Even if you have 500 teams of 500, that’s better than one company with 250,000. So tell us a bit more about the book. How has it been received so far? It was released very recently. Any push backs you have received or what type of responses you are getting? I think the responses to the book so far–it’s only been about a week at the time of this recording–the response has been exactly like the responses to the work out in the world, which is a lot less pushback of “This is nonsense, this is ridiculous, I don’t buy this premise”, and more of a reaction of “Okay, yeah, yeah, yeah but how?” Like what should I do, what can I do depending on the role I hold, depending on the power I have, depending on my own willingness? Where do I start, what can I do? And so that’s been the reaction and that’s really positive because the answer is you can do a lot. We have a lot more control over the way we work than we think we do, even people at the edge and so there’s a lot of ways I think to just get started and begin to do this work that’s so needed. Okay, so give me one question for someone who is in a upper management, CEO type level position where they really have the power to do about anything. What is one question that they should be asking themselves as they reflect on these ideas? Well the thing I always ask teams, and then I ask leaders to ask their teams, is what is stopping you from doing the best work of your life? It is a simple question but it is a powerful one because we are setting the bar at the best work of our lives, not okay work, not work that meets the goal, but actually just saying, are you doing the best work of your life right now? No? Okay, why not? Like what are you missing? You are missing information, are you missing support, are you missing freedom, are you missing the right tools–what’s getting in the way? And the cool part about asking that question is that there’s always an answer, it is always top of mind, and when you address the thing that they have said first, then there’s going to be a new answer, right? Because there’s always something that will unlock the next level of potential for us. So I advise leaders to just start with that question, and ask teams, and then really listen and really create the space to have that discussion. And then for someone who is more in a middle management position, where they feel locked in the bureaucracy but they want to break out of it, what would you advise for them? I think the question there is “What can I change?” The first answer I am going to hear is “Nothing”, but if we really push, if we really enquire, the answer is quite a lot, right? So maybe I can change how I am with my colleagues. Maybe I can change what I do with my Sunday night to get ready for the next week. Maybe I can change how I use my inbox. Maybe I can change how I communicate, I can change my stand on transparency, I can work in public, I can do a lot of things differently as an individual contributor, so the first question is what do I have power over? Because if I start there, maybe I will start a pattern. Well Aaron, it’s been great to speak with you. I hope everyone gets out and reads your book–a lot of great ideas are in there. Obviously they can find it anywhere books are sold, I’m assuming. But how else they can reach out to you? Yes, the book is at bravenewwork.com and the ready is at theready.com and then we are all hanging out on Twitter and LinkedIn talking about this stuff everyday. So look for Aaron Dignan or The Ready on those platforms and we can have a conversation. Awesome, Aaron, thanks so much for being on the show, we appreciate it and look forward to interact with you more.